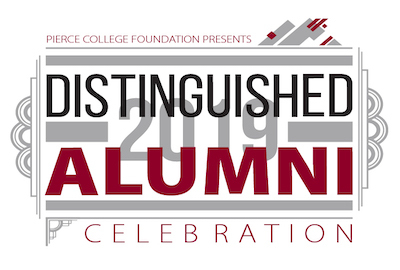 Pierce College is proud to announce the selection of four exceptional former students to honor during this year’s Distinguished Alumni celebration. Nominees are carefully selected based on their achievements in academics, business, community or humanitarian support, or personal triumph over adversity. This year’s honorees provide inspirational examples of the impact Pierce College can have on the community. Pierce College’s 2019 Distinguished Alumni are Timothy Allen, education manager for the Business and Professions Division of the Washington State Department of Licensing; Lori Griffin, dean of Transitional Education at Pierce College; Joshua Harris, music producer and recording artist; and Carlene Joseph, retired vice president of business development and military relations at Harborstone Credit Union. Pierce College will honor these esteemed alumni during a celebratory dinner on Thurs., March 14 at Pierce College Fort Steilacoom’s Cascade Building Performance Lounge. The reception begins at 5 p.m., and the dinner and program begin at 6 p.m. Tickets are $50, available for purchase through our online ticketing system. Meet our 2019 Distinguished Alumni! Timothy Allen is an experienced educator with a demonstrated history of success in higher education. He is skilled in career development, coaching, conflict resolution, instructional design, teambuilding, marketing and more. He currently serves as the educational manager for the Washington state Department of Licensing. He graduated with an associate degree from Pierce College in 1995, before earning his bachelor’s and master’s degrees in education. Lori Griffin serves as the dean of Transitional Education at Pierce College. Griffin helped launch the Pierce College Adult Diploma program, allowing students to finish their high school diploma while earning college credit simultaneously. Thanks to this program, many students who never imagined being successful in college have continued their education to earn a certificate or degree. Griffin earned her associate’s from Pierce College in 1986, and continued to earn her bachelor’s and master’s degrees from Pacific Lutheran University. Joshua Harris is a recording artist and music producer who dedicates his life to sharing music with the world. He specializes in Christian music, which can be found on streaming platforms such as Spotify, Apple Music and Pandora. Harris has also composed music for television commercials, with one of his jingles appearing in Red Lobster commercials. Harris received his associate degree from Pierce College before continuing on to University of Washington Tacoma to pursue his bachelor’s degree. Carlene Joseph retired as the vice president of business development and military relations at Harborstone Credit Union after an impressive 38-year career. She worked closely with the military community in a number of ways – as a military spouse as well as a volunteer leader. Joseph earned her associate’s from Pierce College in 2002, before earning her bachelor’s from Chapman University and master’s from University of Phoenix.